When you walk out of a nail salon after a relaxing manicure or pedicure, beautiful nails may not be the only things you leave with. If you pick the wrong salon, you could come home with fungus, bacteria, infections, and other unattractive and uncomfortable problems. Nail salons here in Florida and almost every other state must follow strict regulations in order to keep their license to operate. These rules were not put in place because officials were worried that a nail tech would apply the wrong color polish. Unless a salon and its staff adhere to rigorous sanitary and hygiene policies and practices, it can become a busy breeding ground for all sorts of highly contagious and easily transferred ailments. With hundreds of pairs of bare hands and feet in close quarters every day, sharing equipment and facilities while all being handled by the same few technicians, it’s not hard to understand why. The good news is that you don’t need to give up your manicure/pedicure and can keep your nails looking on point just by taking a few precautions before sitting in the chair. The sheer volume of people who visit nail salons each day means that some of these people may unknowingly bring nail fungus and bacteria into the salon. Those folks sit in the same chairs you do and get treated with the same brushes, basins, towels, and tools, all of which the salon will use over and over and over again. There are many reasons people choose one nail salon over the other. The price may be right, the atmosphere may be pleasant and relaxing, it may be close to home, or the technicians are friendly and talented. These are all important considerations, but your health should move to the top of that list. Do your research. 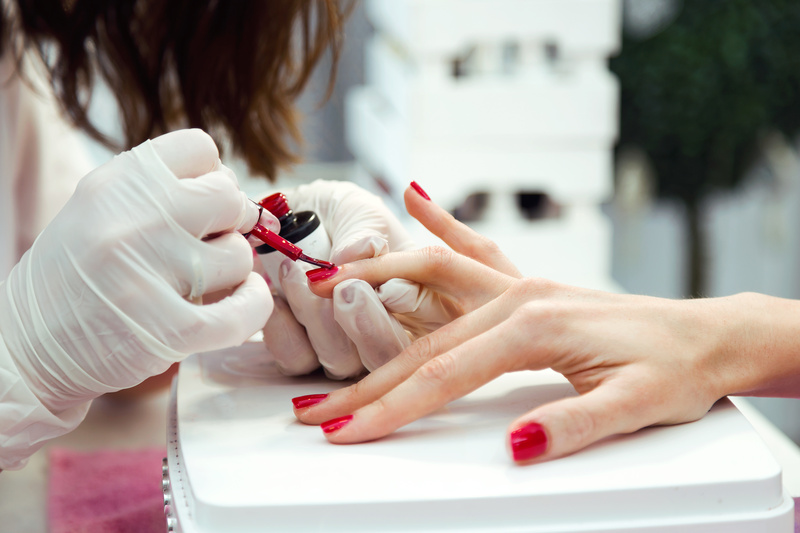 In Florida, manicurists and pedicurists must have a valid and current license from the Florida Department of Business and Professional Regulation. You can look up a salon’s license status here. Also, look at online consumer reviews or complaints to see if other customers have experienced health or hygiene issues with the salon or its staff. Ask questions. Don’t be shy about calling or visiting the salon to ask them about their hygiene practices and the efforts they make to minimize fungus and other hazards. If they don’t want to answer you, walk out the door. Try to choose a salon that uses an autoclave to disinfect tools and instruments and requires its technicians to wear latex gloves. Get your own tools. Bring your own tools to the salon and have the technician use those instead of the ones they share with other customers. Hold off on shaving. Wait until after your pedicure to shave your legs. If you shave beforehand and happen to nick yourself, that cut can make it much easier for an infection to make its way into your body. Please contact us online or call us at (954) 922-7333 to schedule a consultation.